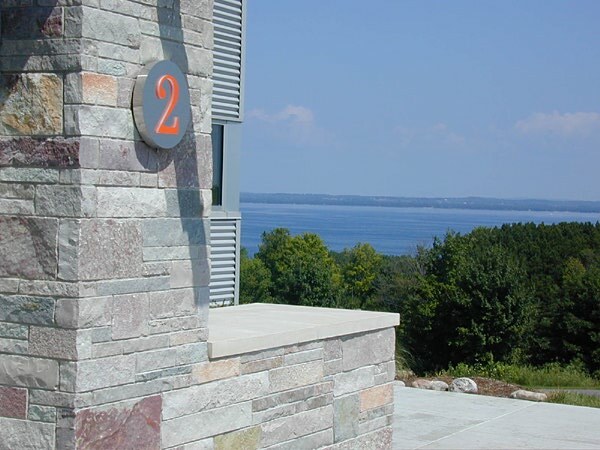 Two Lads winery is a 10,500 square foot facility located on 58 acres on the Old Mission Peninsula in Traverse City, Michigan. Our ultra modern, multi-level facility uses gravity-flow techniques to transport the juice and wine throughout processing, racking and aging. The gravity-flow process saves energy, reduces noise, and is a far more gentle way to process the juice and wine. Our building captures that fresh and bold character of the wines we produce. And our view is… beyond compare. 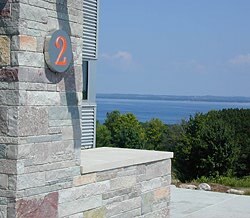 So start your wine tour at the top of Old Mission Peninsula.